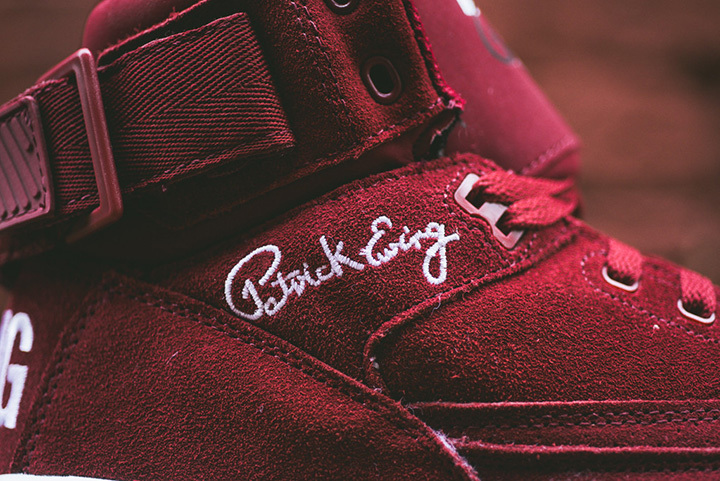 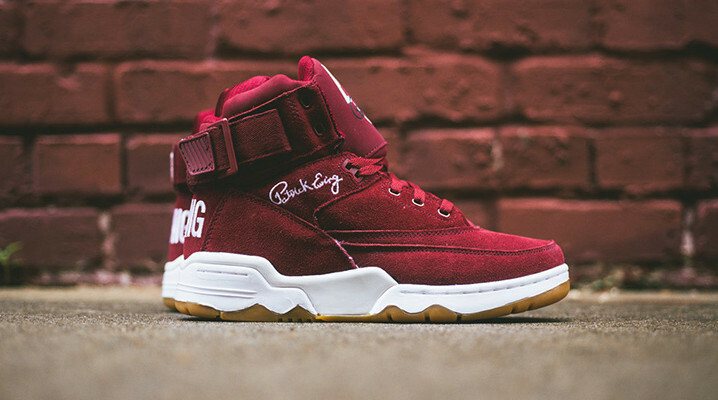 Throwback sportswear brand Ewing Athletics is dropping some deep red heat later this week with their latest colorway of their 33 Hi silhouette. 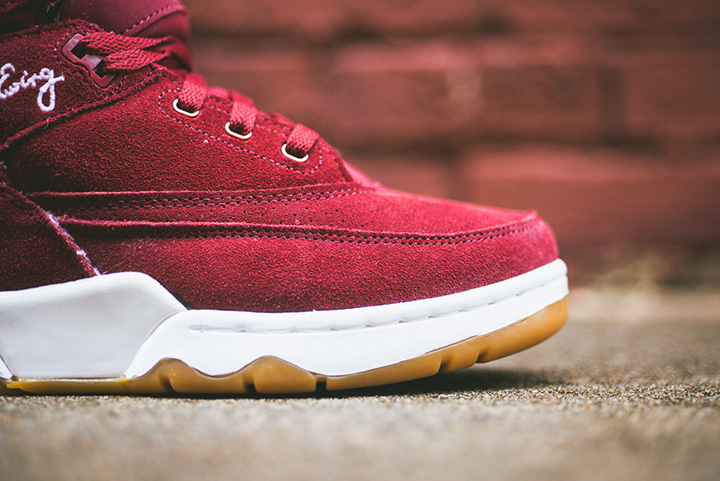 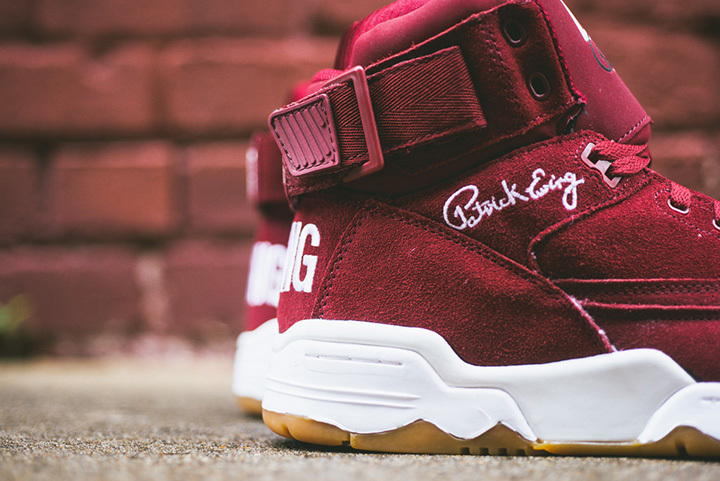 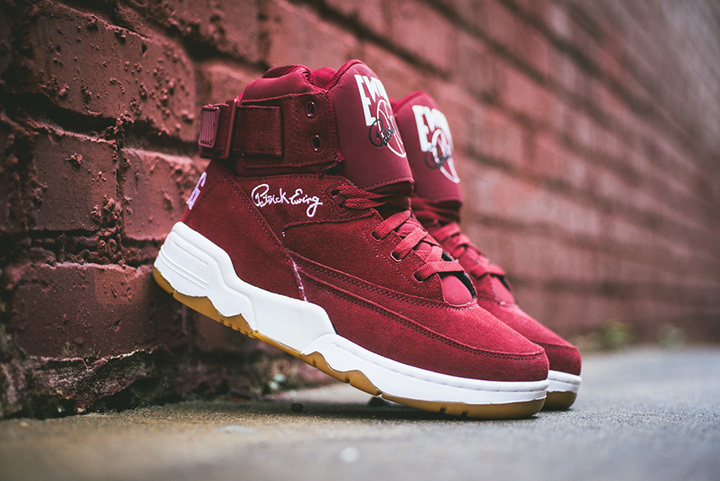 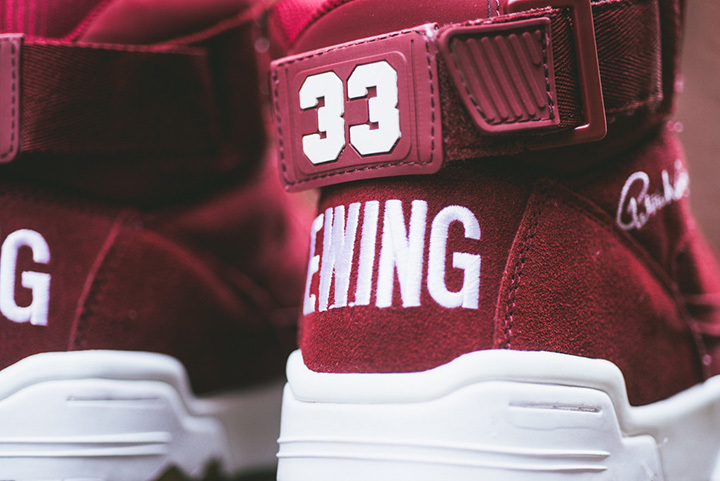 The Ewing 33 Hi Biking Red/White features burgundy red suede uppers with matching tonal laces, straps, and tongue. 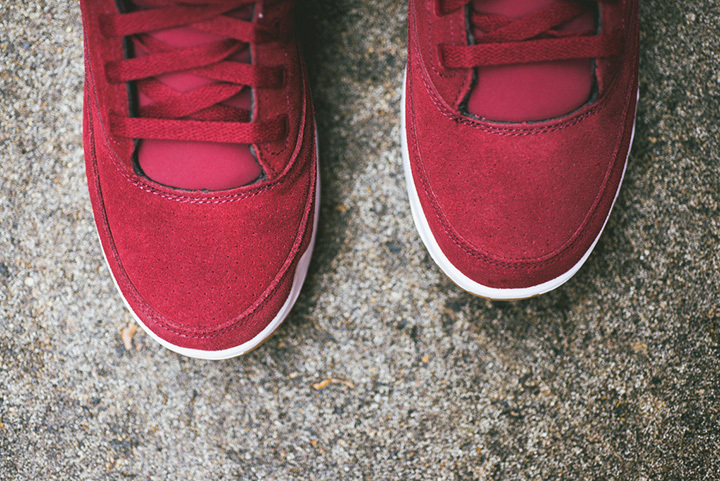 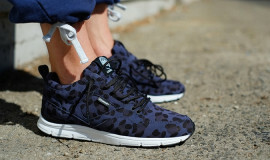 White midsoles, embroidery and branding keep things clean while a gum sole adds a bit of contrast. 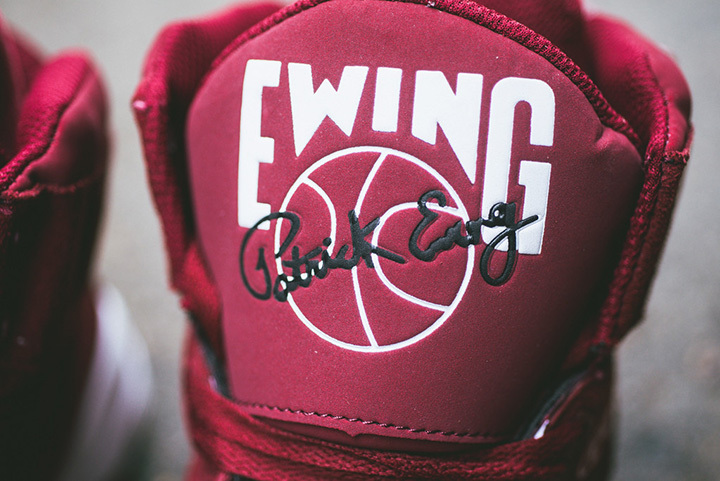 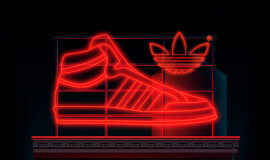 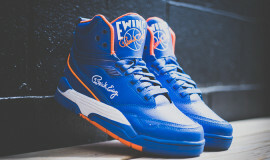 Check out the Ewing 33 Hi Biking Red/White kicks below and cop them from Sneaker Politics this Friday, May 16th for $110.